Jewelry Shaped by Hand & a Passion for Ancient Symbols. Lost Wax Silver Castings to Wear Your Thoughts & Beliefs. While we don't always take the time to think about it, our hands are not the only things that shape our Art. 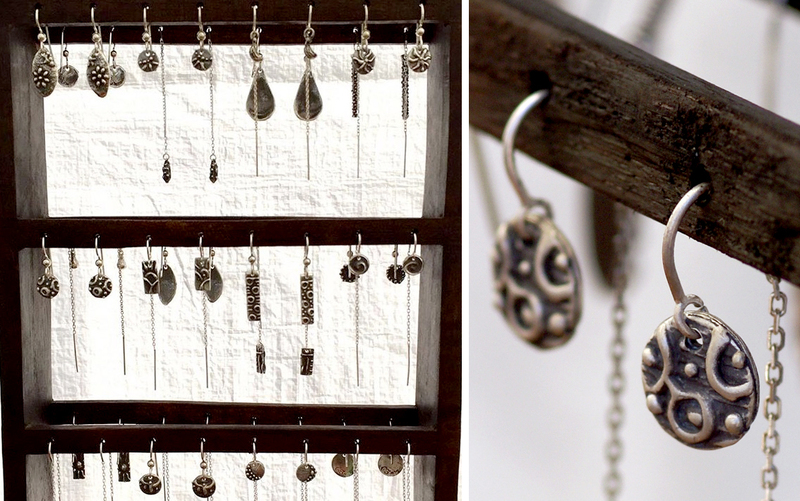 For Austin based jewelry maker Carianne Schulte, both her inspiration and technique are rooted in centuries past. While her hands do the work, years of studying anthropology and trips to explore diverse cultures laid the foundation for her style. She finds herself moved by the power of symbols and the different ways we use these express ourselves. It's no wonder that she gravitated toward jewelry since that is one of the ways in which we share our beliefs with the world. 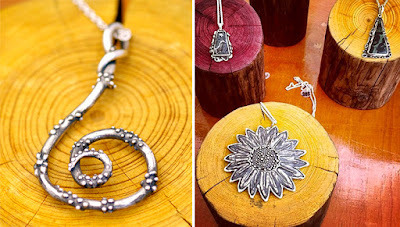 Wearable art like the necklaces, rings and charms that Carianne makes allow us to hold close a cherished ethos while also showing it off to the world. I appreciate the fact that Carianne helps her wearers celebrate and encourage with meditation inspired pieces as well as symbols of joy, strength and love. 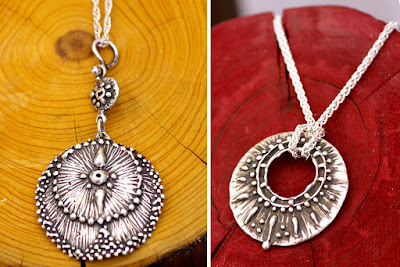 The other truly beautiful aspect of Carianne's art is the range of techniques she uses to shape silver. Some of her collection is the result of carving or sculpting at a small scale. What fascinates me most though are the pieces made through the ancient Lost Wax method. Carianne describes this as painting with wax to create the desired design and form of her jewelry. Then that wax is used for a mold to cast sterling silver. The finished piece will be solid and long lasting, but often with organic and movement filled embellishment. 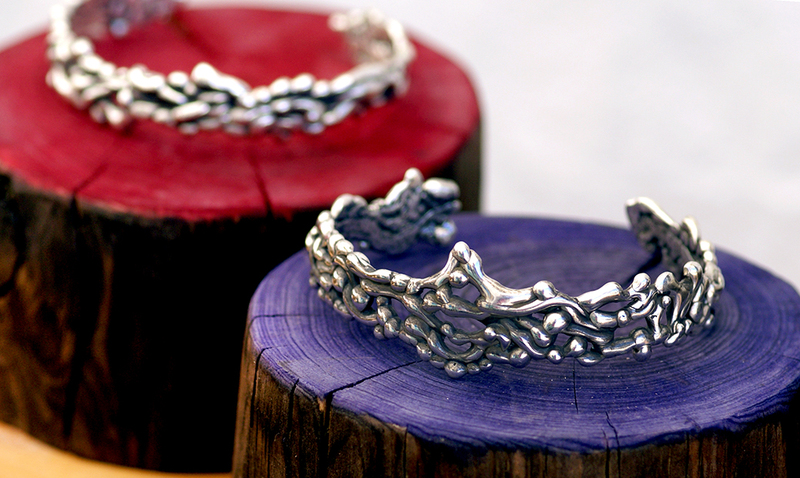 It looks just like something you could make with a more malleable medium, but it's beautiful sterling silver instead. Thanks to a characteristic style, you can choose almost any combination of charms or necklace and earrings to create a set you could wear to any occasion. Find the pieces that speak to you and help you convey what's most meaningful to you!